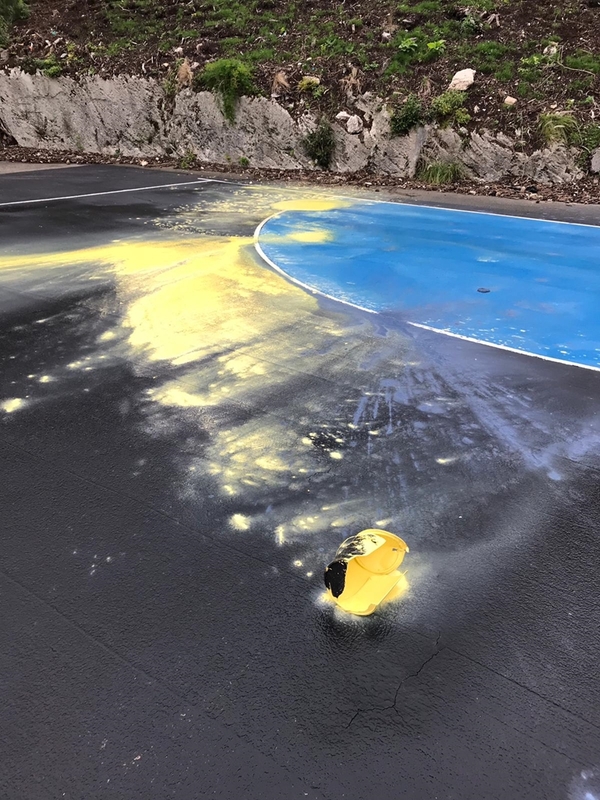 Unfortunately the netball courts have been repeatedly vandalised over the past two years, varying from paint, cooking grease, glass and trash being thrown on the courts, to extremely offensive words spray painted on the courts. 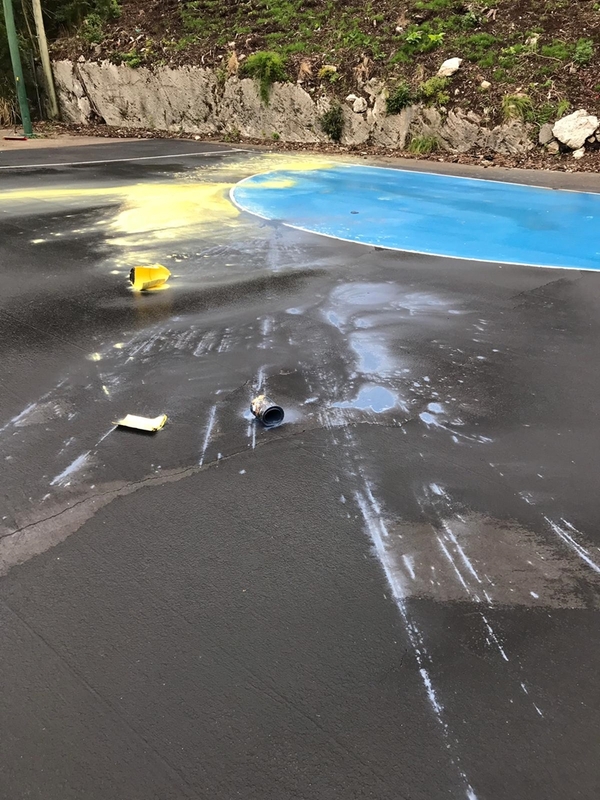 Speaking in a video message, Kimale Evans, President of the Bermuda Netball Association, said, “The Bernard Park netball courts have been vandalized yet again, with the first incident taking place approximately two years ago, while the most recent being twice in a span of two days. 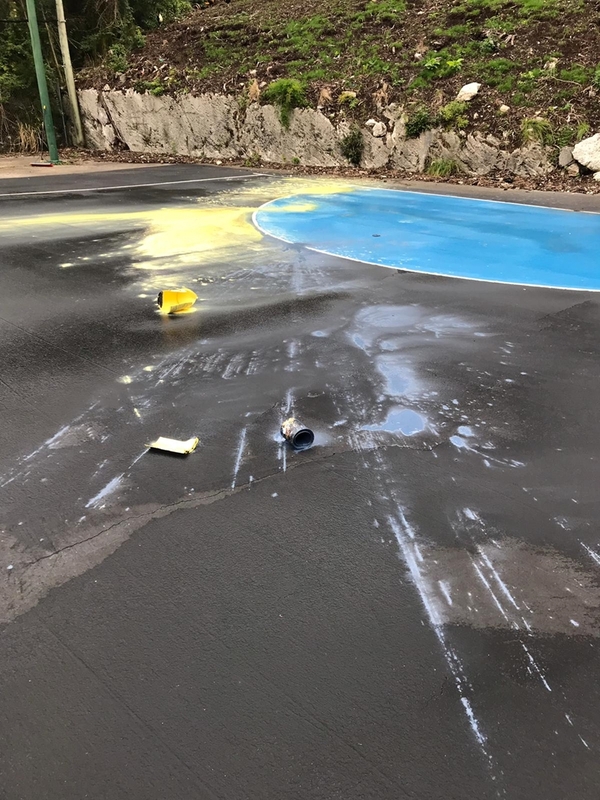 “The first incident occurred over two years ago, and in recent times the courts have been vandalized at least once a month since June 2018. “These unfortunate events cement the need for a purpose-built facility to house netball. An indoor facility will help to diminish the health and safety risk the netball community has had to endure for some time. A community space that kids and adults enjoy. This is a disgrace. I hope the person that did this AGAIN is eventually caught and made to paint every public space with Graffiti on it for the next 10 years. I hope they we’re dumb enough to use left over paint from home. I say that because most of the paint companies put a label on each can when the mix the color for you. 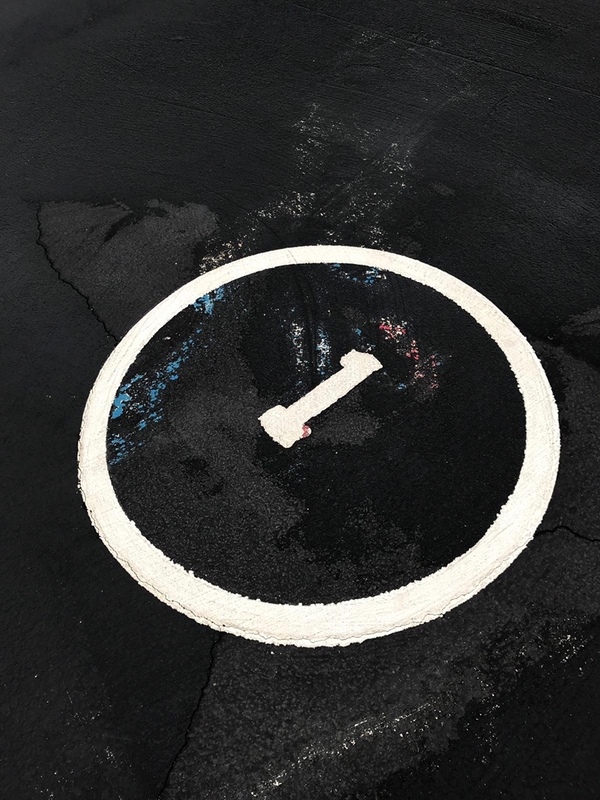 That label can be used to track when the paint was purchased and by who. If they paid by credit card they have a good chance of catching them . easy fix put up a camera. If you get a good one you can make it multipurpose. make it so people can watch the games on the camera something like what you got for the ships in dockyard. So when will cameras be installed……??? But what do you really get out of doing this? Why not construct netball courts at National Stadium? There is plenty of unused space, it’s gated, there is staff on duty and lots of parking. These young ladies are engaging in positive and healthy activity, they deserve better. I think this is a great idea particularly since they used to be there before. Since the authorities love cameras, well this would be a prime situation to install a surveillance camera. They need to put up cameras to catch these thugs, and or a high fence so they cant get in. 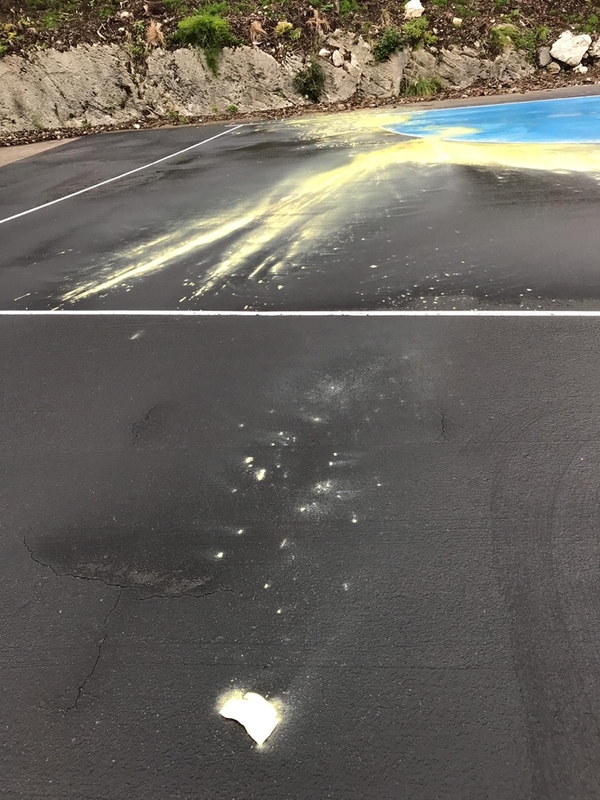 Apparently the perpetrator did not make it onto the netball team…. This clearly affected their self esteem. They are just expressing their anger. We should put the culprits in the old stocks in Town Square and let us shrow paint at dhem ! !